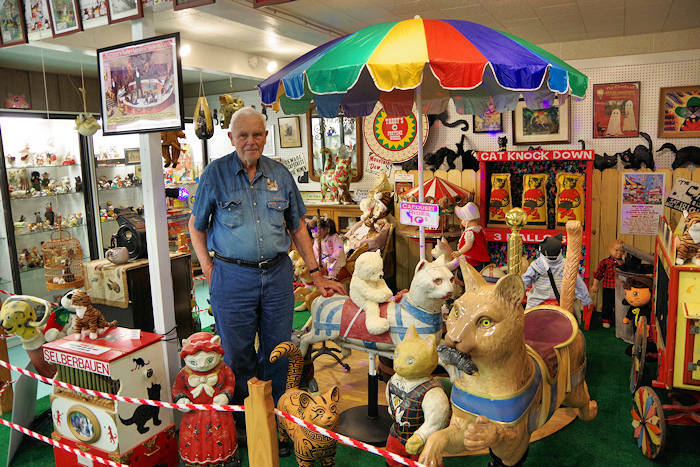 The small community of Cowee near Franklin is big on history dating back 1,400 years! 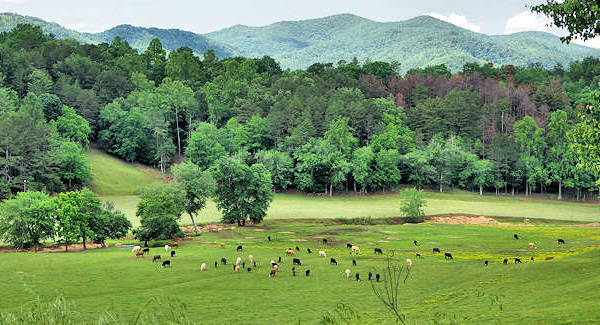 Today, drive the winding mountain roads for gorgeous farm views, visit local artists at a repurpose school and enjoy music jams at a well-known general store in the Cowee-West's Mill National Register Historic District. 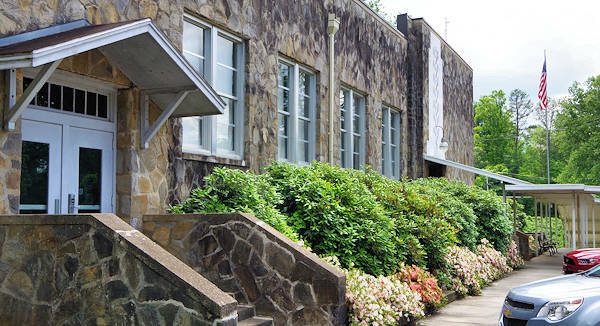 Your first stop should be the Cowee School Arts & Heritage Center (51 Cowee School Drive, Franklin) inside the historic stone school built in 1943 by the Works Progress Administration. Today, it's home to a gallery, art classes, toy museum (open midday Wednesday-Saturday) and many concerts and events. Former classrooms are now home to artist studios. Stop by any day of the week and walk down the long hallway. If a door is open, artists are working and enjoy talking to visitors. 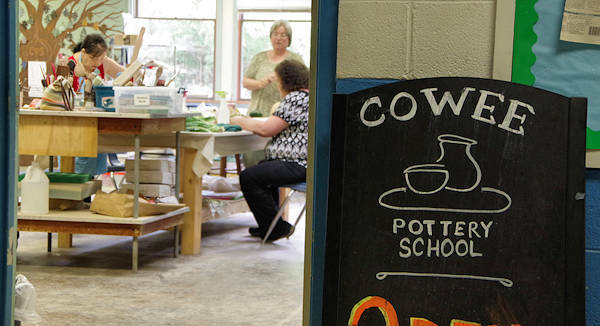 Many have classes that you can take, including Cowee Pottery School and Houglum Fine Art. The old gym and stage hosts many events, including the Franklin Folk Festival on the third Saturday in August. Go to their Website for a calendar of concerts, contra dances and more! T.R. Rickman Store (251 Cowee Road, Franklin) was built in 1895 and operated until 1994. It has been restored with many original fixtures. Today, it's operated by a volunteer group. 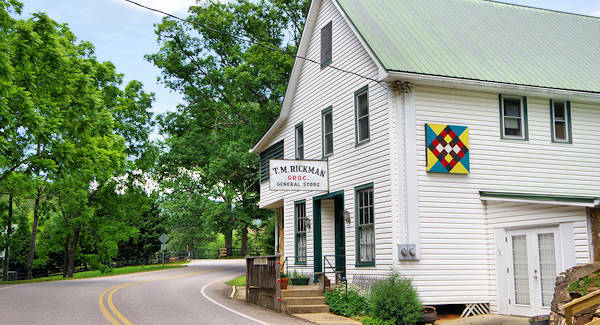 Stop by on Saturdays 10 AM-4 PM, May-December, to enjoy bluegrass jam sessions, mountain dancing, crafts and visiting with the locals. 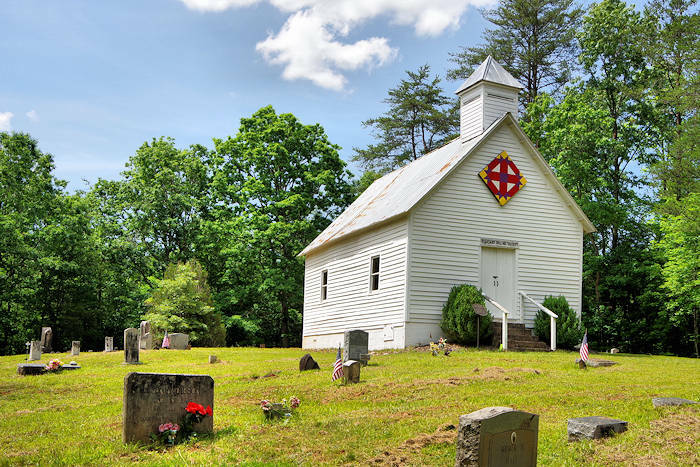 The beautiful while clapboard Pleasant Hill AME Church (pic at top of page and above) on Snow Hill Road was built in 1929 for the local African American community. 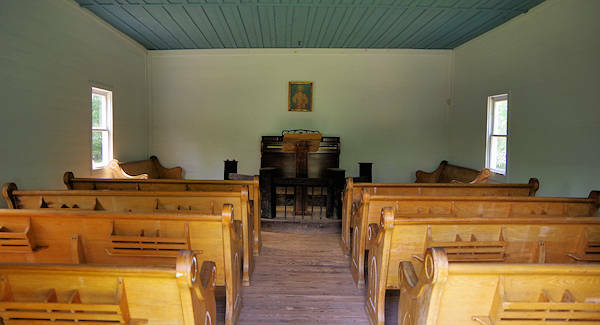 While there's not a congregation there now, you can go inside the church and explore the cemetery. Gem mining is big in the area, including panning at Mason Mountain Mine and the Sheffield Mine. The Cherokee built the Cowee Mound around 600 AD along the Little Tennessee Reiver and is one of few remaining earthen mounds. However, Atop the mound stood a council house that could seat several hundred people. It continued to be a commercial center for the Cherokee into the mid 1800s. While most land was taken from the Cherokee, the mound area was given back to the Cherokee in 2007. Unfortunately, the mound is not open to visit. Cowee is located about six miles north of Franklin via NC Highway 28. 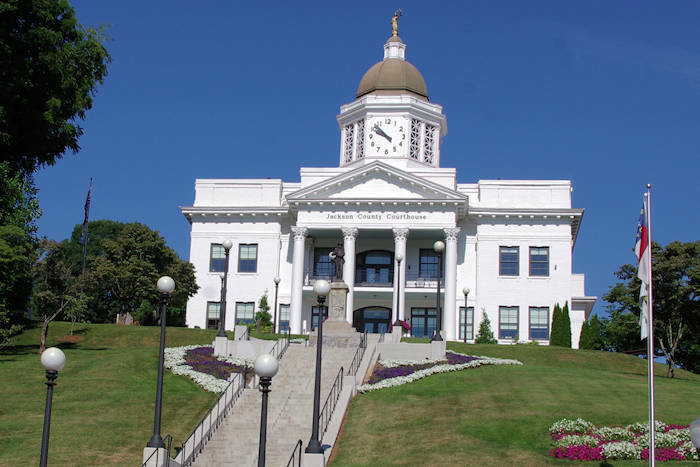 It's about 71 miles west of Asheville, and about 20 miles south of Sylva and Dillsboro (great small towns to explore). Download a Cowee map PDF. And see many other things to do in Frankin.